ASB stands for Alternative Spring Break by the way. I'm doing one called "On Being a Locavore" that is pretty much food-based! It's so exciting. Today was the first day of it, and I shall chronicle our adventures through pictures I have taken. The first part I want to mention is how tired I was because I got up at 7:15am just to make sure that I would get to the place in time with some breakfast eaten and bus time. By the time noon hit, I was about ready to hit the hay and did take a quick power nap after lunch. Others did too actually. Okay let's begin! Our first activity was to go to the Durham Farmers' Market. I had been meaning to go for a while now but never forced myself to get up early enough - yay for others making me go! I generally love farmers' markets so this was a good treat. We got to meet the manager who told us about the different farmers who participate and how this market may differ from others. I was happy to hear that they take WIC checks and have tried different approaches to ensuring that low-income families can afford to purchase the same goods as others who adopt this locavore lifestyle. Anyhow, the group of us split off into smaller groups which were assigned to find specific items to purchase; my group was charged with the task of finding carrots and honey. Yum! However, we all wanted to check out the market first sooooo I took a bunch of pictures before tackling our mission. We found a few bags of carrots but no honey so we asked to purchase cheese instead from the Chapel Hill Creamery. The cheeses were SO delicious. The flowers pictured above were quite gorgeous as well, and the picture directly below is of goods from Scratch Bakery - everyone got donuts from there...everyone. When we finished our assignments, one of the coordinators told us that others were up on the hillside picking wild onions. Curious, I went over and joined in on the fun. 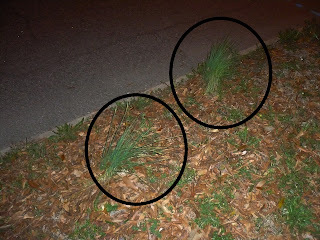 The onions were just sprouting amidst the small flowers and grass on the hillside! 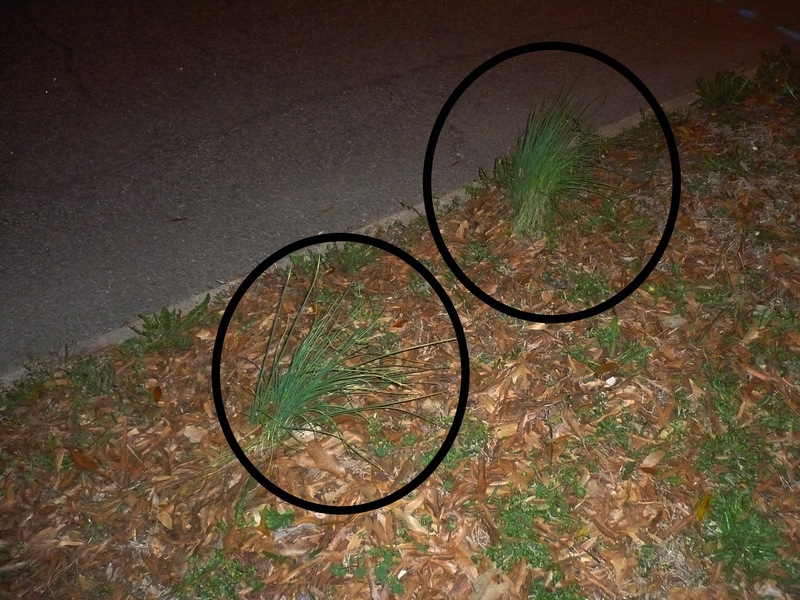 I saw a lot on my way home later too and will definitely now think twice about these weedy looking things. Anyhow, I picked a bunch out myself and later ate some of it with my lunch! So after a lunch and quick power nap, we headed out to the Duke Campus Farm which is a really neat venture. I wish I were younger so I could help head up this project as this is their inaugural year. We went inside the greenhouse first before getting a tour of the land and then helping put up deer fence. The farm itself has many missions and goals to achieve but to make a long story short, the founders are striving to create a sustainable and educational farm that is a business and serves the Duke campus through providing all the product for the dining management and also hiring interns to learn and keep up the farm. Their vision is great, and the long-term goals got me quite excited. The 12 acre land is in the Duke Forest and will hopefully live up to all the creators' ambitions. Berries and orchards and vegetables, oh my! After some work on the farm, some of us headed back to the Wesley House to prepare dinner. I was excited about the prospect of cooking but when I got to the house, I realized that the majority of us all were eager cooks as well. Of course I should've expected it considering I was on a food-related Alternative Spring Break but I guess I had never been around so many food-minded people at Duke before. The kitchen became a whirlwind of everyone trying to be useful and taking their "spots" that was their expertise. If you're a cook, you know what I mean when someone takes command in a kitchen. You slip into a "I know everything" mentality where you are doing a million things at once. It was funny seeing us ALL want to be that person. Eventually one guy from UNC-Chapel Hill became that guy and worked the stoves. Props to him - the food was excellent. We had a penne with tomato vodka cream sauce for entree, homemade sweet tea for a drink, fresh salad from the greens from the Farmers' Market, bread and cheese from the Farmers' Market, roasted sweet potatoes, and butternut squash with apricot conpote. It was all amazing and quite fresh! What did I do amidst all the other cooks? I sliced bread! Haha..but it was delicious. We had some jalapeno cheddar bread first and then a foccacia. Delish! I am definitely looking forward to tomorrow and the restaurant hop! For now, it's barely past 9pm and I'm already tired. I think I'll hit the hay early. I hope everyone's Spring Breaks have been going well!